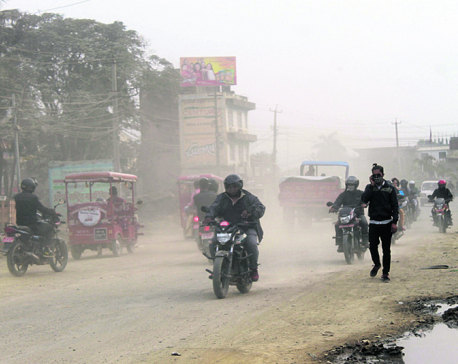 JHAPA, Nov 7: Several reports of taskforces, formed to study problems in tea farming and recommend needful suggestions to the government, are gathering dust, affecting tea farmers, workers and industrialists. 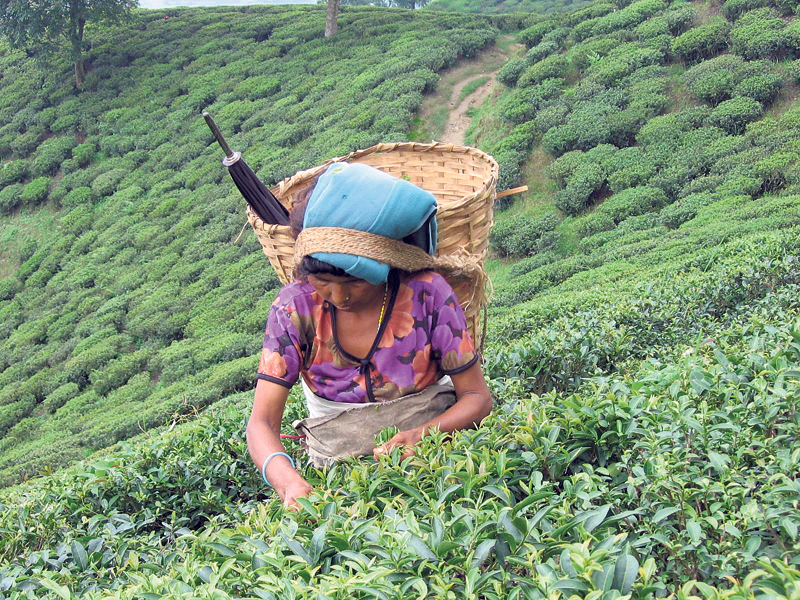 A taskforce formed to study problems of tea sector had submitted its report to the government in mid-August. The taskforce, which was led by Lal Kumar Shrestha, the under-secretary of Ministry of Agricultural Development, had suggested that the government settle price issue before the tea harvest season begins in mid-November. But nothing has been done so far to implement its suggestions. The five-member panel had representation from farmers, industrialists and experts, among others. A member of the panel fears that the panel's suggestions will also meet the fate of suggestions made by the past study committees. Concluding that the price of green leaves was one of the bones of contention among tea farmers and industrialists, the committee had accorded top priority to the issue in its report. It had advised the government to form a mechanism to fix price of green leaves based on the price in the Indian market. “We had suggested that a team comprising of tea farmers, industrialists and government officials visit India to study the price of green leaves there before fixing price in Nepal,” Shrestha, the coordinator of the taskforce, told Republica. 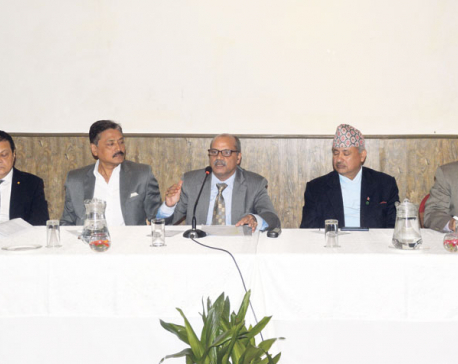 Indra Adhikari, chief of the Birtamod-based regional office of Nepal Tea and Coffee Development Board, admitted that there has been delay in implementation of the report. He attributed the delay to festive holidays due to Dashain and Tihar. “The Secretary of the Ministry of Agricultural Development has already started the process to implement the report. A minister-level decision will come out soon,” added Adhikari. Two years ago, tea farmers and industries had set price of green leaves on a consensus basis. But farmers allege that industrialists broke the agreement unilaterally. They also accused the board of taking the side of industrialists. Meanwhile, industrialists have said that they won't agree if the price of green leaves is fixed on the basis of price in the Indian market. They say that tea industries in India, which get various government facilities, can afford to pay higher. “But this is not possible in Nepal as we do not get any facility,” an industrialist told Republica. The panel had also recommended to the government to fix price after studying price of tea in the domestic market. Similarly, it had suggested that the government provide grant to farmers' cooperatives to operate tea processing plants. Three industries, promoted by farmers, are preparing to start operation in eastern Nepal. The government has already announced to provide subsidy to the new industries. Some of the industries have already received first tranche of government subsidy and waiting for the release of the next tranche. Agitating tea farmers had stopped their protest after the government assured them on implementation of the report prepared by the taskforce. But the government has done nothing in this direction. Jhapa alone produce 70 million kilograms of green tea leaves. Around 80 percent of the production is exported to India. “We have been betrayed,” Dambar Sharma, a tea farmer of Jhapa, said. “Officials of the board assured us that the report will be implemented soon. Now, we don't know when it will be implemented,” he added. The taskforce has also recommended to the government to establish a tea auction house. Encouraging farmers and industries by providing grants and subsidies and updating laws and regulations related to tea sector are the other suggestions given by the taskforce.